The report details an exhaustive account of the global adaptive strollers market along with numerous associated factors. Some of these factors that are included in the report are drivers, restraints, competitive analysis, latest trends and opportunities, geographical outlook, and many other aspects. The study covered in the report spans a forecast period from 2018 to 2028. From an overall perspective, the report is expected to exist as a valuable insight to businesses which are already operating in the global adaptive strollers market, as well as for those who intend to newly establish themselves in this environment. 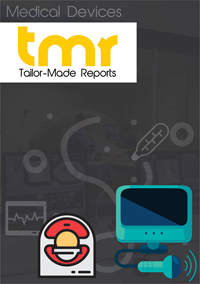 Widespread advancements occurring in the field of medicine especially with respect to improving mobility of patients is majorly driving the global adaptive strollers market. These devices enable one to support the patients in a better manner than the regular strollers used in most healthcare institutions. Moreover, these strollers also help make the spinal portion and associated muscles exist in a relaxed position, thereby contributing towards widespread growth in the global adaptive strollers market. The strollers also are easy to use, have less weight, and are substantially portable in comparison to the heavy and cumbersome wheelchairs. Such advantages are making the global adaptive strollers market gain an enormous potential in recent times. And such growth is prophesized to continue in future as the number of patients suffering from serious brain and spinal cord injuries is increasing by the day. This market is mainly spread across North America, Asia Pacific, the Middle East and Africa, Latin America, and Europe from a regional perspective. Of these, North America holds a dominant position compared to other countries on account of the presence of a strong healthcare infrastructure. Moreover, a rising preference for fast healthcare services and effective responses from healthcare organizations also is making the market proliferate rapidly in North America. However, apart from this region, Asia Pacific also showcases extensive presence of the market in addition to Europe. This is mainly due to a highly increasing demand of quality healthcare services occurring in these regions, especially in terms of providing assistance in the form of mobility for patients. The global adaptive strollers market depicts the presence of a highly competitive vendor landscape. Many companies are attempting to bring forth smart innovations to their services. Several players are also participating in important mergers and acquisitions in the form of key strategies to expand their presence in the global adaptive strollers market. Assistive Technology, Inc., Convaid Products, Inc., Deming Designs Inc., Eurovema Ab, Invacare Corporation, Meyra, Ormesa, Performance Health, Sunrise Medical LLC, and R82 Inc., are key players operating in the global adaptive strollers market.